Apparently Top Ten Tuesday is a weekly meme run by the bloggers at The Broke and The Bookish. I thought I would give it a try! This week's prompt is to name the . . .
"Top Ten Books People Have Been Telling You That You Must Read"
1. Words of Radiance by Brandon Sanderson -- My husband, Jacob, tells me often that I need to read this, the second installment in the Stormlight Archive. I liked the first book, this is Jacob's favorite series, and I want to read it. It's just soooo looong. I'll get over it and read the book soon. 2. Cinder by Marissa Meyer -- Heard so many good things about this one online that I told my sister she should read it. She did and loved it. When I was at her place (during the family reunion) she lent me the book. But then my mom stole it and read it and my other sisters did, too. But that's ok; I'm all about sharing the love. 3. Blackmoore: a proper romance by Julianne Donaldson -- Ashley recommended this one here on Everead not long ago. And she was about the 20th person I had heard say that they loved it and it was Soo Good. So, yeah. It's a good, clean, period romance! It's gonna be great. 4. Wonder by R.J. Palacio - I actually heard so much good about this book that I bought it for my friend Rachel for her birthday. She loved it and told me I have to read it for sure. I think she's right because I'm still hearing about how good and moving this book is. 5. Boenhoeffer: pastor, martyr, prophet, spy by Eric Mataxas -- My friend Ashlee was just gushing about this one. To be fair, I don't remember if she actually indicted me to read it. But the point got across. I have actually started this one, in fact! But it is flying in a holding pattern while I read Gone With The Wind for book club next month. 6. Mindset: the new psychology of success by Carol Dweck -- Lindsay keeps mentioning the awesomeness of this book and recommending it to everyone. It seems like the kind of psychology book I would love. Lindsay also introduced me to Gretchen Rubin, whose happiness books I have read and loved. 7. 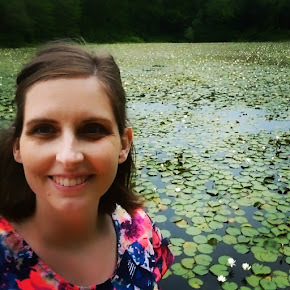 Taking charge of your fertility by Toni Weschler - My friend Kate has recommended this one to me as an awesome book, even though I don't consider my fertility out of control. Kate's got a great taste for motherhood non-fiction and hasn't steered me wrong in the past. (She gave me Ina May's Guide to Breastfeeding at the perfect moment.) She said this one is just all-around good education for women about the reproductive system. 8. Maus by Art Spiegelman -- Guys. I have to read this book! Marie told me so, and Ashley, and I don't even know how many other people. But most importantly, my own conscience. I mean, how can you claim to love graphic novels and not have read the one graphic novel that everyone else has read? Well. I can and I do, but I also intend to fill this gap in my education. 9.Green Dolphin Street by Elizabeth Goudge - Aislin (who has impeccable taste and an incorrigible reading habit) told me to read this book ages ago and Amy seconded the recommendation. I will do it someday! Don't remember anything about what the book is supposed to be about, now. 10. Gilead by Marilynne Robinson - See above about Aislin's recommendation. And this one also won a Pulizer prize?! So.. it's probably a good book. Okay, so here is your chance to tell me what YOU think I must read! I am very interested in this. (And I know there is a picture book about sheep that Ashley told me I must read, but I can't think of the name of it now!) So. Fill me in. What is missing from this list? p.s. 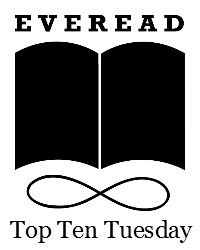 If this is your first time at Everead, you are specially invited to my About page! Post yer comment and then I'll meet ya there (so to speak). I'm actually reading Maus for book club this month. Cinder and Blackmoore are awesome. I'm pretty sure you'll like them. Maybe I need to pick Maus for my book club, so that I actually read it. Ha! What a fun list to make. I wonder is you have any of the following: The Thirteenth Child by Wrede (fantasy meets western frontier settlement. I love this author.) The History of Love by Krauss. The Left Hand of Darkness by LeGuin. O.R. Melling's Chronicle of Faerie. Brandon Mull personally recommended the Books of Beginning by Stephens to me recently and I liked the first. The second recently came out. I *adore* The Thirteenth Child. The kids and I are working through Wrede's dragon series on audiobook, and I loved all of the Sorcery and Cecilia books. Haha! You've never read Maus?!? Scandalous! Even I have read that one, friend! Wish you still lived here I have Maus and Maus 2. They are excellent. Still not as good as Bonhoeffer mind you... :) I'm glad you started it! And I'm not too sad you are pausing, because I happen to love Gone with the Wind too! I'll just pop over and borrow those. ;-) I'm so glad you loved Gone with the Wind! I was reading it and thinking, "Ashlee would love this book." Have you read Peace Like a River by Leif Enger? I haven't! Is it a good one?